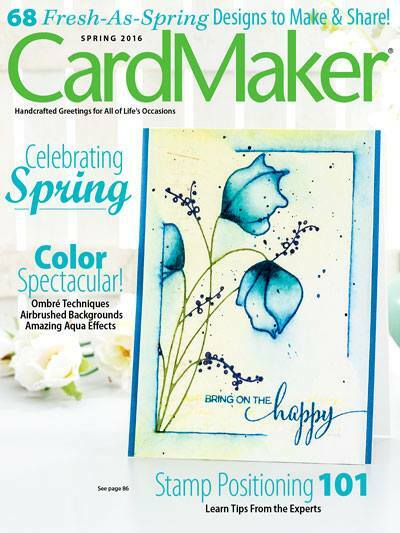 CardMaker Magazine/Inchie Arts Blog Hop. I must confess, I had never used Inchies before these projects and I am totally in love. whatever my little heart desires. Using Fall colors and loads of stencils, each 1 inch square is uniquely done with embossing paste. Leaves were airbrushed with markers, metallic cord added for a little shine. Did you know Inchie Arts has more than just 1 inch squares? They have all different sizes and colors. Using a stamp positioner, I was able to achieve a layered look in Silver & Gold by heat embossing. Hope these projects have given you inspiration to try your own Inchie Arts. Make sure to comment on each blog along the way as I heard there are prizes to be won. If you find a broken link along the way, the hop list is at the CardMaker blog. fun way to use the 4" mat. beautiful! Wonderful projects, Penny! Both are designed so beautifully! I have never thought of using embossing paste on inches! Thanks for the great idea! Hi Penny! Beautiful cards! What a great way to add texture with the stencil on the inchies. 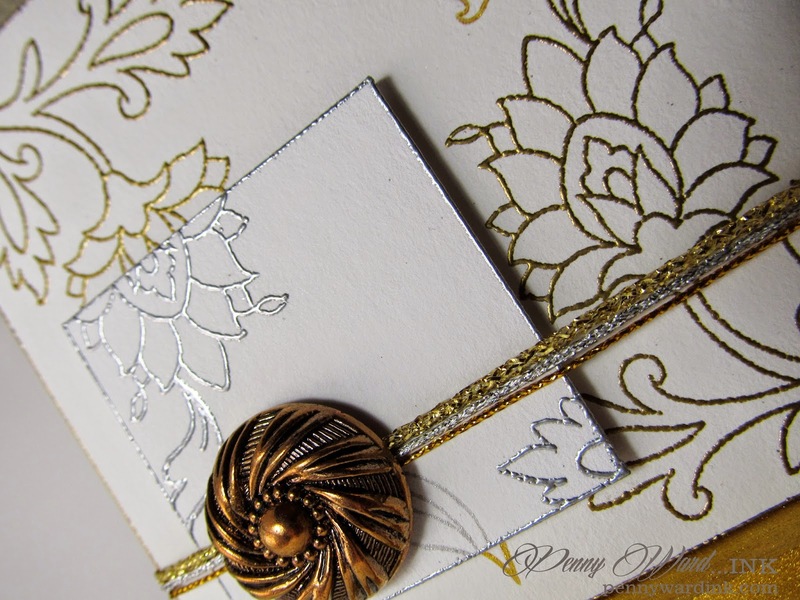 I love the embossing and the metallic accents on the second card - so rich and elegant. Great way to showcase this product!!! Beautiful cards! Love the texture on the first one! This card was amazing. Love how you used the second card with smaller inchie and embossing...really striking! Love the way different blocks are colored or embossed. Beautiful. I love this idea of blocks - first I've heard of it. love your texture on these! Awesome cards. I just bought some twinchies, so I'm looking forward to playing with those. Thanks for the inspiration! Lovely eye-catching cards that have me swooning over the splendid fall colours in the first; the striking embossing in the second. A perfect showcase for the pairing of images and inchies! So pretty. I really like that gold and silver. Wow! 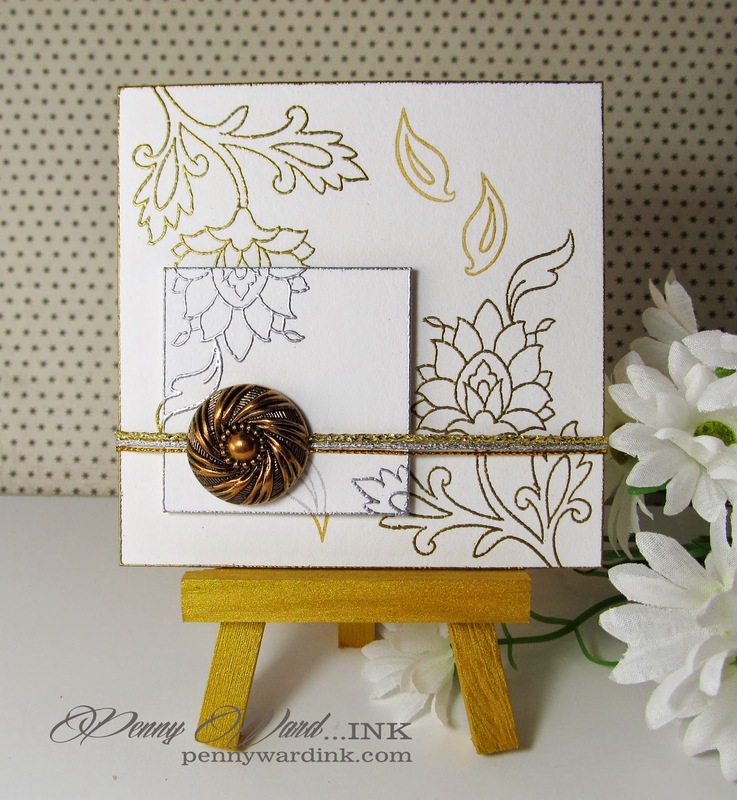 I just love your second card with the gold and silver embossing! Just love that you created that bit of texture - love that idea!! Thanks for being a part of this hop!! I like the colors, texture and embossing. Love your cards. They will look lovely in your china cabinet. OMG the pastes on the Inchies are amazing. Such a great look. Beautiful designs!! LOVE all the fall themed card and your embossed design is jaw dropping! Both projects are amazing! Love your textures!! Love your gold and silver art piece! The little 4" canvas on the easel is so different among all of these cards, love it. Your card is beautiful too. I sure saw a lot that I enjoyed! Oh! The embossing paste gives such nice texture. Love these. And the gold and silver combo is just beautiful. I am blown away by the variety of techniques you can use with inchies! Beautiful projects! Beautiful fall cards! I love the textures on the first card... pretty colors too! And a gorgeous stamp on the second card... so pretty! LOVE both your projects! You've really shown what can be done with inchies! i love the textures in the first card! Beautiful work! I love the gold and silver embossing, such a pretty design. And how neat that you created texture on these squares with your Fall card. Great job!! Thanks for sharing. Such creative and lovely work. Love all the details you give. Your cards made with the inchies are magnificent!! Each one of them has a flair to them that makes them uniquely stunning!! Thanks for sharing these projects with us! !